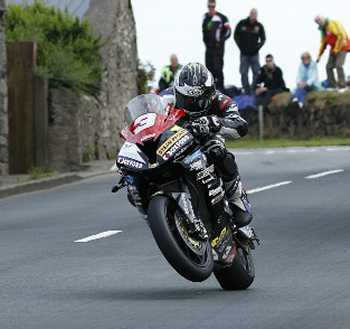 Michael Dunlop secured his third Solo Championship race win at last week’s Isle of Man Steam Packet Company Southern 100 International Road Races on the Isle of Man. The younger of the famous Dunlop brothers, first won the coveted title in 2012 and retained his ‘crown’ in 2013. Riding the Hawk Racing BMW machine, the Ballymoney man also dominated the other Superbike races during the weeks racing on the 4.25-mile Billown Course. Be sure to watch the highlights of the 61st running of ‘the friendly races’ on ITV4 on Wednesday evening at 8.00pm. Relive the exciting racing you were lucky enough to watch, if you were present, or if you weren’t on the Island watch in amazement as the courage and skills of ‘racing between the hedges’ comes to the fore as each race is run.